It's a short week, but not a short newsletter today as we bring you the highlights from the interview Mike Allen and I did with Apple CEO Tim Cook which aired Sunday night on "Axios on HBO." 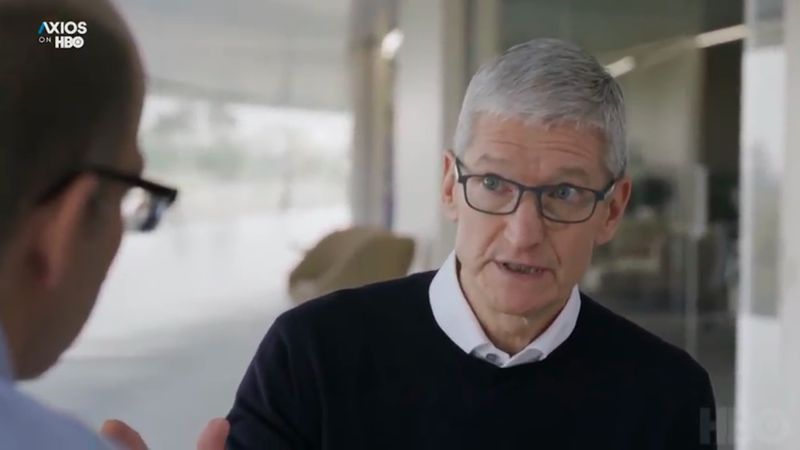 Apple CEO Tim Cook being interviewed on "Axios on HBO"
If Apple is so big on users' privacy, why does the company take billions of dollars from Google in exchange for letting the search giant be the default search engine on iPhones, iPads and Macs? It's a question that has been on my mind a lot amid the raging debate over how much control individuals should have over their data. Why it matters: Apple likes to make the case that while most of the Big Tech companies make money from selling your information, it makes money from selling you products. But it also gets a lot of money from Google, which only pays that amount because it makes more than that from Apple's customers. "One, I think their search engine is the best. ... But, two, look at what we've done with the controls we've built in. We have private web browsing. We have an intelligent tracker prevention. What we've tried to do is come up with ways to help our users through their course of the day. It's not a perfect thing. I'd be the very first person to say that. But it goes a long way to helping." Between the lines: Cook is pointing to a range of things Apple has done to limit how much information Google or any other web giant can collect on Apple users. It also offers users alternatives to Google for search, as long as they are willing to look deep in the device's settings. If you go to the settings menu and select the Safari browser app you can choose among Google, Bing, Yahoo and the privacy-centric, but lesser known DuckDuckGo. Cook also spoke to Axios about a range of other topics, from his enthusiasm for augmented reality to his 4am alarm to his own iPhone usage. And he called U.S. regulation of the tech industry "inevitable." Cook still uses his phone several hours a day even after he started tracking his usage with Screen Time. But, he said, "My notifications are declining, the number of times I pick up a device are declining and the only reason they are is because we built this functionality into our operating system and I now know what I was doing. " Cook gets up a little before 4am. "I like to take the first hour and go through user comments and things like this that sort of focus on the external people that are so important to us. And then I go to the gym and work out for an hour because it keeps my stress at bay." When it comes to regulation, Cook said he prefers to let the free market iron things out. "But we have to admit when the free market is not working. And it hasn't worked here. And I think it's inevitable that there will be some level of regulation." Go deeper: You can see clips of Cook talking about Silicon Valley's male-dominated culture and whether tech is good or evil. HBO subscribers can get the full episode on demand. Tim Cook isn't worried about computers taking over from humans. He's far more concerned about people hanging on to their humanity. "They're worried about machines taking jobs and AI sort of replacing humans," Cook said during our "Axios on HBO" interview. "My worry is not that machines will think like people — it's that people will think like machines. And so that to me is a much bigger worry." That's part of why Cook is such a big fan of AR. It layers the benefits of technology on top of the real world. Field trip: Cook took Axios' Mike Allen and me out to a soccer field at Apple Park to see iScape, an app that lets you see your future garden, with all of the flowers, plants and fixtures layered atop the real world. I was also struck by another app he told me about as we were surrounded by virtual foliage. "I was in Berlin a couple weeks ago and there was an app that a young developer had done there that placed the Berlin Wall back where it was," Cook said. "Well the great thing about technology is there's never an end state of anything, right? We're always seeking not something different but something better and arguably we're at the front end of AR. And so you'll see and experience (it) in dramatically different ways in the future than you are today. But already there's some pretty cool things you can do." The bottom line: Of course, Apple is working on AR glasses and, of course, Cook isn't going to talk about them until they are ready. Most analysts believe that it'll be more than a year before the technology will be affordable and appealing enough for consumers. In addition to the sit-down interview with Cook, and the field trip to the soccer field, we also got a tour inside the exercise lab Apple uses to make sure its watch can accurately track your workout of choice — whatever that might be. Details: Parts of the lab resemble a gym, with dozens of treadmills, rowing machines and other exercise machines. There's also a yoga room and an endless pool, which allows Apple to better track how people are swimming — as different strokes burn different amount of calories. What makes Apple's lab quite different from any gym are the bulky masks you see on each of the people working out. Known as a metabolic cart, the machines precisely determine just how many calories are being burned in each activity. Then there are the 3 temperature-adjustable rooms (dubbed Higher, Faster and Stronger) that can be made extremely hot or very cold. "We have done over 50,000 sessions of data collection which is almost 100,000 hours of data being collected," said Apple's fitness director Jay Blahnik. "That includes over 12,000 unique participants so it’s a very diverse set of data as well which is really important because obviously, everyone’s body is different and we want to understand as much as we can about different types of people." The bottom line: That adds up to a huge bet on health and fitness. The Apple Watch available today is just the beginning. After years of controversy, Airbnb is removing all home-share listings — about 200 — in Israeli settlements in the occupied West Bank, Axios' Kia Kokalitcheva writes. Why it matters: Tech companies are increasingly finding themselves in the middle of political storms, as the services they provide run into the cross-currents of regional conflicts and ethical controversies. What they're saying: In a blog post, Airbnb explained that it believes doing business in the settlements is legal, and in the past it felt its service could "bring people together" there. Now the company has developed a five-part checklist for evaluating how it handles listings in occupied territories, and based on that, it "concluded that we should remove listings in Israeli settlements in the occupied West Bank that are at the core of the dispute between Israelis and Palestinians." "We are most certainly not the experts when it comes to the historical disputes in this region," it added. Yes, but: A number of other travel companies offer activities and accommodations in the settlements, according to Al-Jazeera. TechCrunch Shenzhen takes place today and tomorrow. Jia Li, who headed R&D for Google Cloud's AI operations, is leaving the company, according to Synced. Of course, there was news on the Facebook front. Former security chief Alex Stamos penned a Washington Post op-ed and also appeared on an MSNBC special with Kara Swisher. Meanwhile, the Wall Street Journal looked at how Mark Zuckerberg adopted an increasingly aggressive management style as he perceived the company to be under siege, alienating some employees as well as longtime business partner Sheryl Sandberg. There is a new report, this one from the Wall Street Journal, that Apple has cut production orders for the newest iPhones amid less-than-anticipated demand. I was 43. And it was last night. 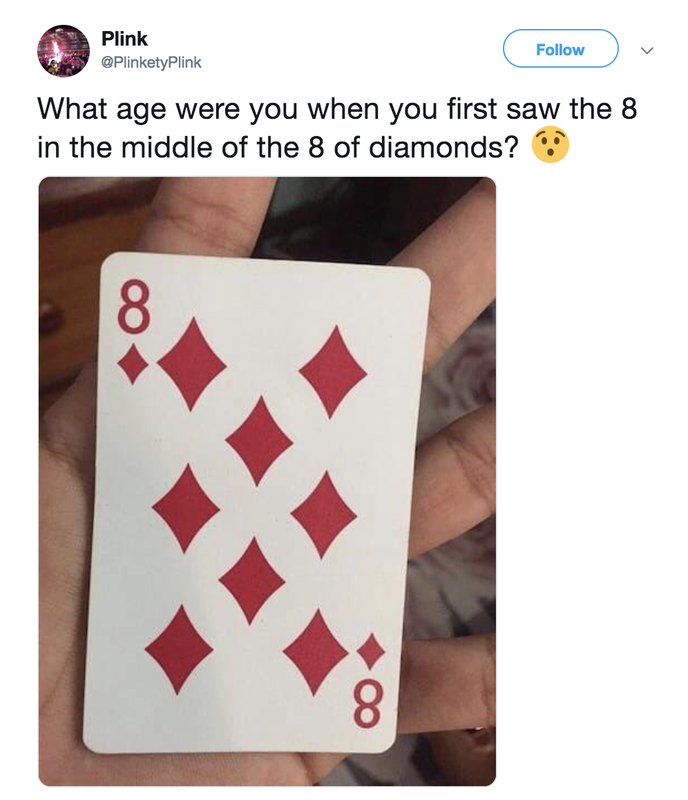 Mind blown.